Microsoft will release the tool under open source implementation of editing and publishing blogs Windows Live Writer, according to the announcement on Twitter of one of its leaders. 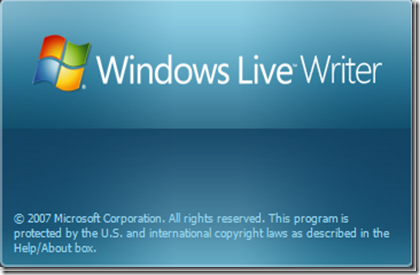 Windows Live Writer is an application that is included in the Live Essentials package with Live Messenger, SkyDrive and other Microsoft applications deceased or renamed to other services. It provides a WYSIWYG and HTML editor, photo-publishing features, working on the main CMS on the market such as WordPress or Blogger. The latest version of Windows Live Writer is 2007 and since then Microsoft has developed only minor updates. Still, it is one of the best tools of blogging, still retains a good user base, from officially supports Windows XP and runs on Windows 8 or 10. Windows Live Writer works very well but it depends on other online services and when these change, the tool needs updating APIs and others, as it did recently with the change of the authentication process in the Google Blogger. It is an essential application for Microsoft and hence the lack of new versions, so its release into open source could be a future solution for maintenance. Microsoft is the world’s leading producer of proprietary software but is not the first time releasing software under Open Source.